Sorry, this standing Celtic cross is now sold out. 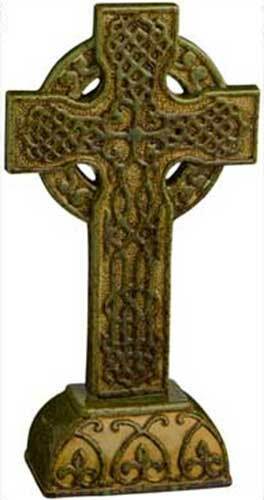 This large standing Celtic cross measures 6 3/4" wide x 11" tall x 3" deep and may be used in the garden when not placed in direct sunlight. The ceramic cross is received with a Celtic cross history card, complements of The Irish Gift House.